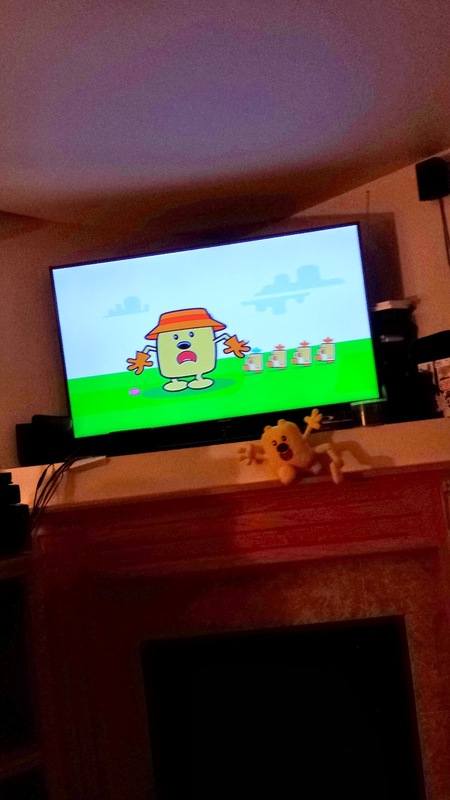 Little Bear loves the television show, Wow, Wow Wubbzy. 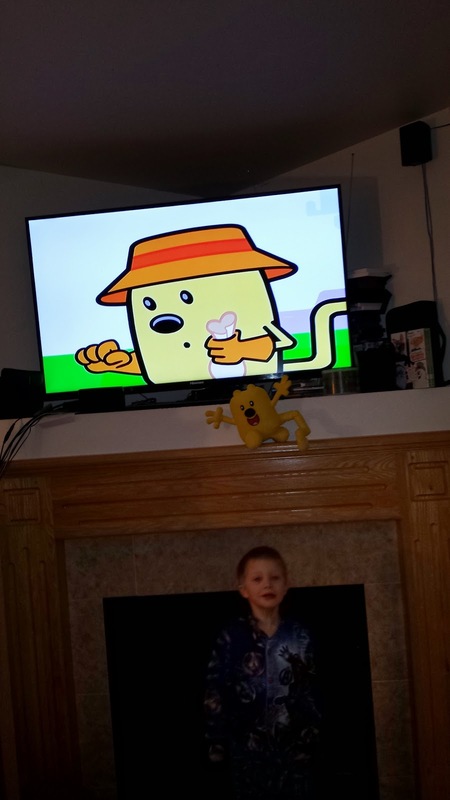 While he was watching it last night Kitty decided that her brother's toy Wubbzy needed to join in on the fun. 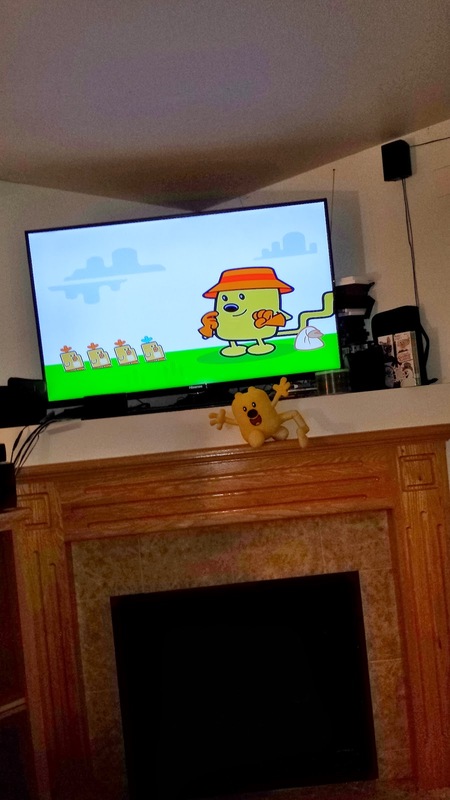 If you are familiar with that show you might find the images amusing. Have your kids done anything funny this past week? Link up to your funniest blog post on our weekly Blog Hop, Friday Funny at talbertzoo.com.